This San Francisco hotel was built at the turn of the 20th Century and is located in the Upper Tenderloin Historic District. 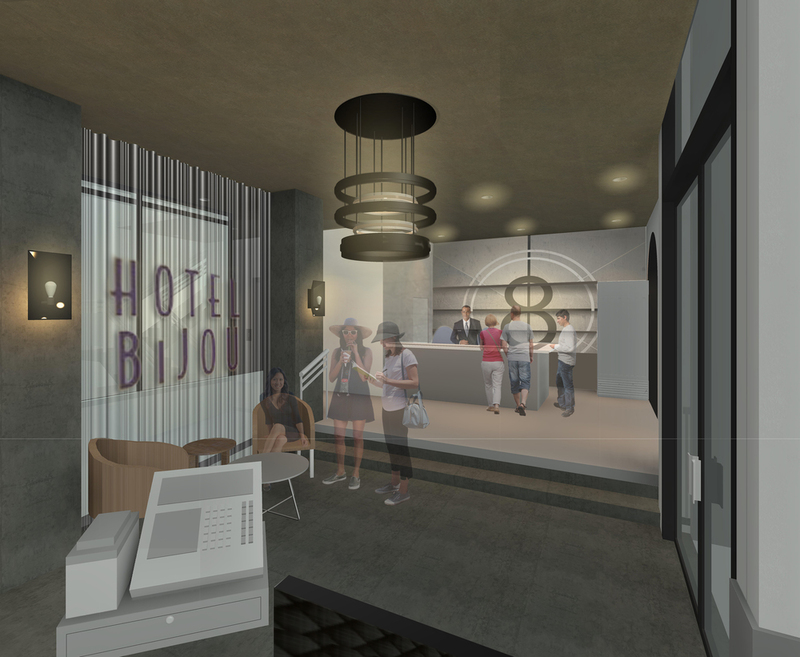 The owner preceding the current operator developed the design of the hotel themed as an homage to Hollywood movies filmed in San Francisco. 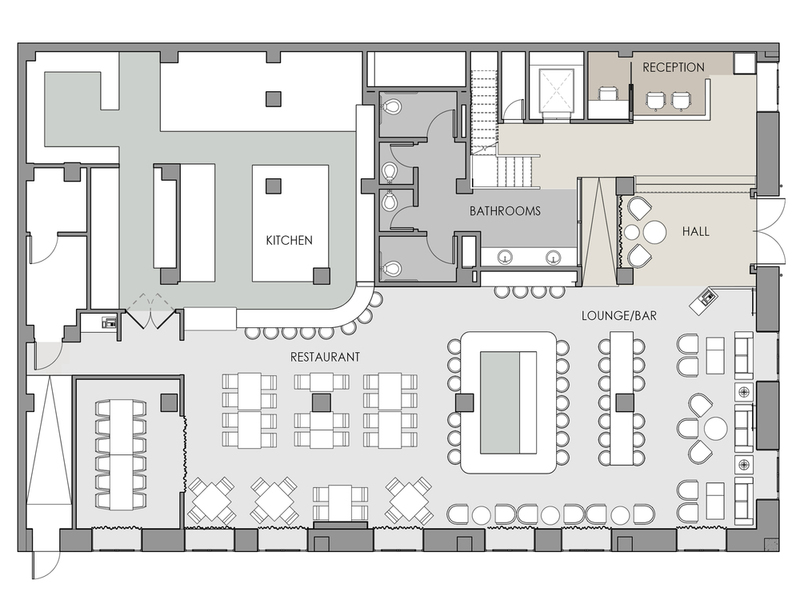 We were asked to redesign the first floor public spaces into a new 100 seat restaurant, cocktail lounge, and reception as part of a larger makeover of the property. The current operator requested that we honor the previous design concept but make relevant to today's cultural and social currents. The proposed design draws on imagery from Hollywood backlot sets, film production equipment, and film editing. The design incorporates textures, patterns, and a color palette derived from the Golden Era of film and the coincident art deco style prevalent at the time. The resulting design maintains some historical continuity and positions the hotel as a unique edgy boutique property in an emerging trendy district in the City.